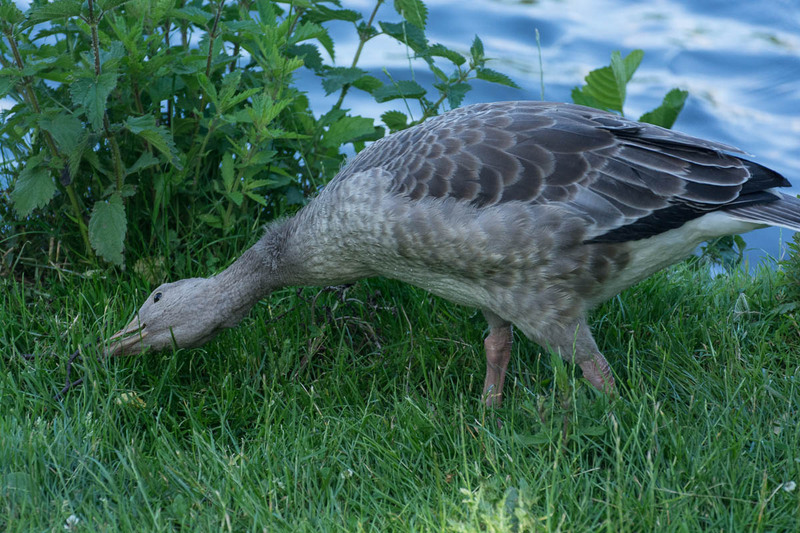 I found this photo of a grey goose in my library. During the warm seasons it’s quite easy to find them. Outside of the city they are often on fields or near water. But also in the city it’s possible to find them, for example in parks or near ponds. I don’t have many photos of this bird species on my blog and thought I upload this one to my grey goose category. I do already have 112 posts in my birds category, it’s funny because when I started with photography, I did not expect that I would take so many bird photos. I still have so many photos to upload, but next spring or summer I will probably take even more bird photos, which means uploading will be a never-ending job. [ Smiles ] When I saw the title of this blog post, I thought that you were actually talking about your favourite brand of vodka. I think that is one of the European group because I’ve never seen a wild goose that color, though some of the barnyard crowd look to be related. Lovely shot!